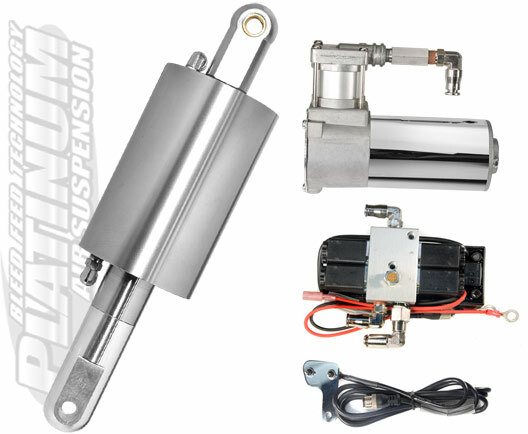 Platinum Air Suspension Bleed Feed, This system will allow you to control your ride height and rebound force. This system is controlled by positive pressure at all times. 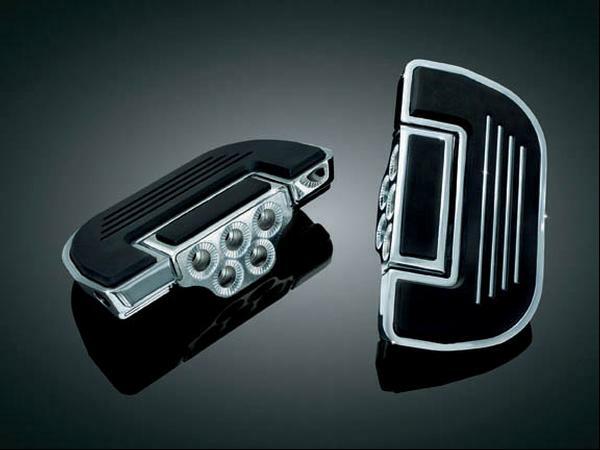 This system is easily adjusted at the flip of a switch for complete comfort for the riders weight or road conditions. 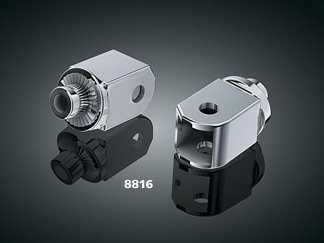 The system includes one air cylinder machined from 6061 T-6 billet aluminum. Also included in the kit is a air-control valve, DOT- approved 1/4” line and fitting, plus switch harness, hardware and line cutter. System come complete with a one year warranty and is made in the U.S.A.